The SEDE Family Care Program welcomes the new Family Resources Associate, Jessica Wurster, to offer support services to student parents at McGill. SEDE launched the Family Care program in 2015 as a response to concerns that there is a lack of support for parents at the University. Initially funded through the Sustainability Projects Fund in partnership with the Senate Subcommittee on Women, the initiative aimed to tackle barriers for caregivers on campus, from limited daycare access to no options for family-friendly residences. Since 2016, this position has partnered with Student Life and Learning and the Senate Subcommittee on Family to serve students exclusively, offering more consolidated programming across different units of the University. These have included: collective kitchen events to prepare meals, workshops for primary caregivers, camp scholarships for kids of McGill students, and a babysitting club. The Family Resources Associate has also offered consultations to different departments and working groups in order to build toward providing more family-friendly practices and policies into their student affairs. Wurster looks forward to helping this kind of programming gain a better foothold in the University. She has been supporting students at McGill for over a decade as an advisor, instructor and mentor. Drawing on her experiences as a grad student at McGill, and working in the Faculty of Engineering since 2014, she has developed extensive knowledge of campus resources to direct students to supports and build networks amongst peers and campus collaborators. “I see my [new] role as Family Resources Associate as having three prongs: one is individual support, where I help make accommodations for student parents; the second is creating policy around family care on campus; and lastly is to provide programming for student parents and their families,” she says. Wurster’s plans for the year include doing a needs assessment of students with dependents; building off informative Café Collab workshops from last year; and supporting the further development of Study Saturdays; along with a host of other events such as gift drives, holiday parties and the upcoming Student Parent Orientation on September 14. “The goal is to connect parents, not just with on-campus resources, but with resources off-campus,” she says. This year’s Family Care portfolio fits nicely into SEDE’s shifted focus as a community engagement office. The need to build community is particularly pressing for students with dependents, because they are providing care for those who are not here at McGill. 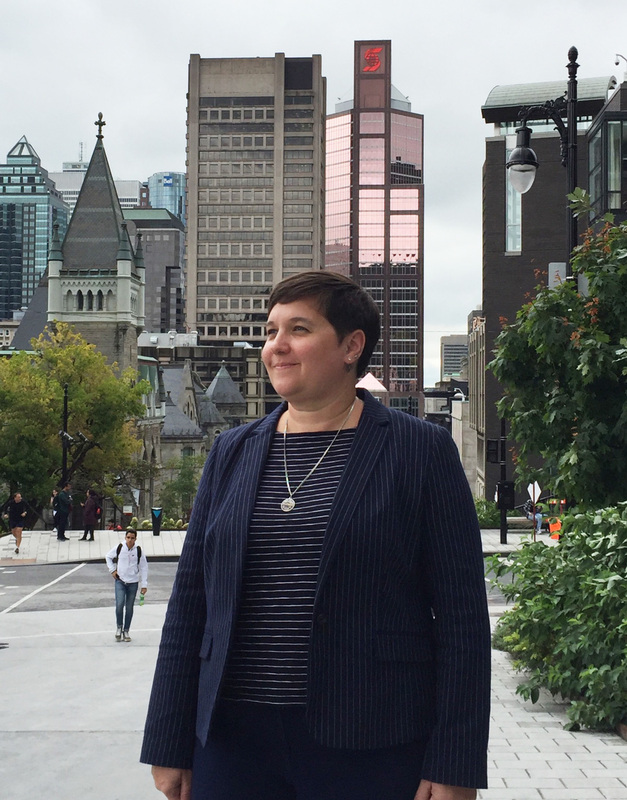 “Providing support gives student parents the capacity to engage in life at McGill, and connecting them to resources outside McGill reduces isolation, as their families extend past McGill into other communities,” says Wurster. Providing more spaces for families, both physically, such as breastfeeding stations or offering childcare at events, as well as psychologically, in incorporating the needs and voices of student caregivers, will make sure McGill is a more inclusive and equitable place for all. If you would like to meet Jessica Wurste;, connect with other student parents; and learn more about resources for you and your family, come to the 4th Annual Student Parent Orientation on Friday, September 14, from 9:30-11:30 am in Brown 5001. Learn more about the SEDE Family Care Program. Learn more about the Joint Board-Senate Subcommittee on Family Care.